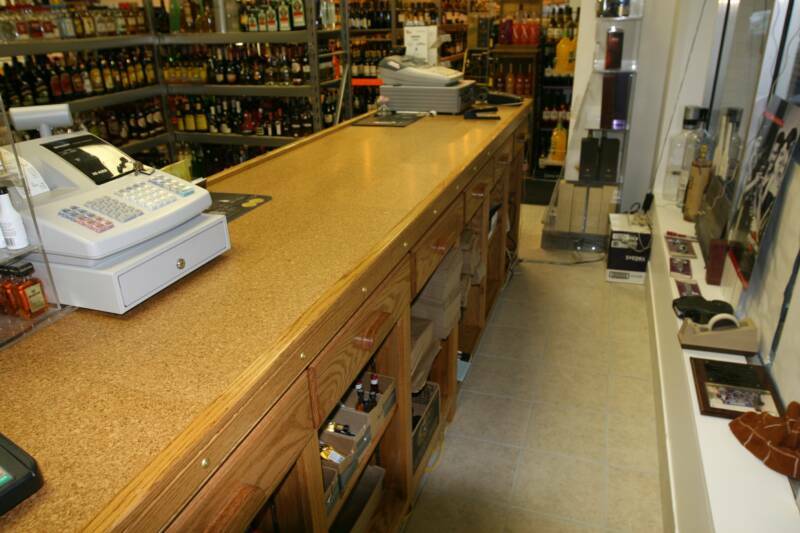 Register Counter / Bar built for the guy's at Cheer's Liquor Store, 10 Dorn Rd, LaGrangeville, NY. Red Oak, w/Golden Oak stain. Polyurethane finish. Cork counter top gently accepts the glass purchase. 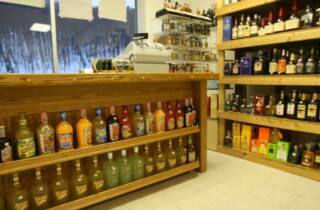 Custom front shelves. Note the grain pattern match on the drawer fronts across the length of the cabinet. In use for many years, the tables at Tiramisu Ristorante were definitely in need of repair/restoration. I was contacted by Christina, one of the owners., who said, "Lee, I would really love to save the original artwork. What do you think? Is it possible?" I had to honestly tell her that I wasn't sure. We decided that I'd start with a "practice" table. I learned a lot about working w/epoxy. And, was a bit surprised at my artwork restoration skills. And so, we were on our way ... 1 at a time for a total of 22. By the way, I highly recommend. The food is excellent. Service polite and prompt. The home made pastry is to die for. And, Artie and Christina are most gracious hosts. It was a pleasure working with them. 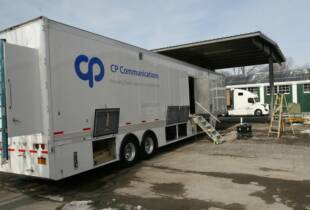 CP Communications builds state of the art audio/video mobile trailers - only one of their many talents and contributions. These trailers are, of course, built to be highly functional - comfort and esthetics are not overlooked. Separate compartments trimmed out in Red Oak provides for a very professional feel. That's where I come in. 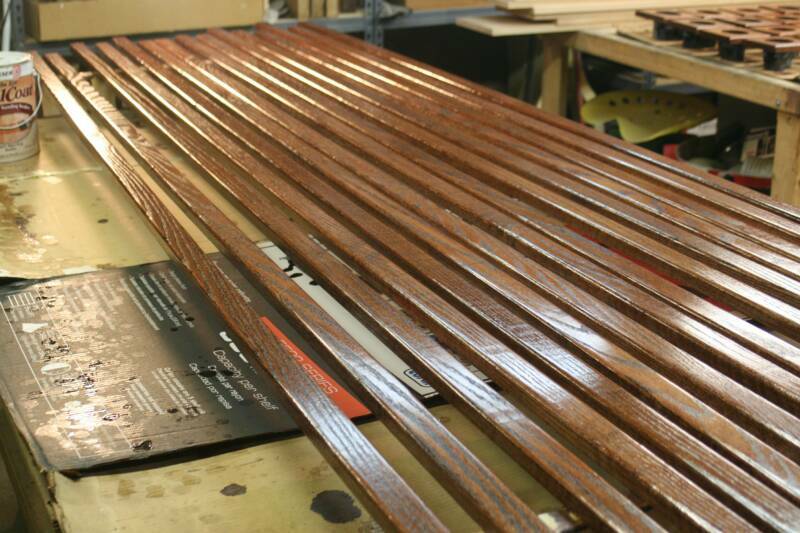 I provide the milled, stained, and sealed custom milled pieces, in rough lengths, to be custom cut/installed onsite. A trailer shell to a few days away from being put in service. 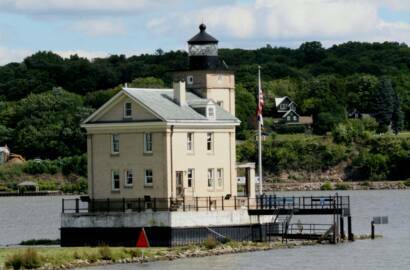 A small sampling of my contribution: 20 light pots; 8 light boxes; 120' of table trim; 350' x 2 roof grid; 200' edge banding. Sports Video Group article: "No Rest for the Weary: CP Communications"